A popular French ski resort is taking a proactive approach to climate change. The Telegraph reports France's Tignes resort is moving forward with plans to construct an indoor ski slope. 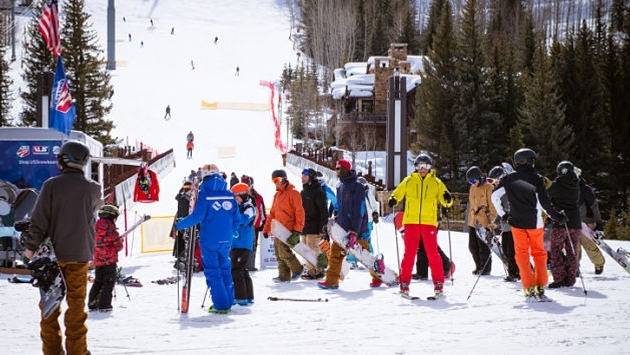 The $65.6 million Ski Line snow center project will feature a 1,300-plus-foot slope utilizing real snow in the winter and artificial snow in the summer. Other attractions inside the new addition will include an indoor wave pool for surfing, a shopping center and a 1,050-bed Club Med hotel, according to the Telegraph. Officials hope the project will make Tignes a year-round ski destination despite the ongoing effects of climate change in the region. "The Grande Motte glacier has already lost 30 percent of its ski area, so we have decided to react by creating an indoor ski slope," Tignes Mayor Jean-Christophe Vitale told the Telegraph. READ MORE: When Is the Best Time to Take a Ski Vacation in 2017? As Vitale alluded to, European glaciers are under increased threat of extinction and many Alpine ski resorts are experiencing fewer days of snow compared to past years. Hydroelectricity from the town's dam will help power the slope, while solar panels and a biomass boiler will also be used. Nonetheless, the project still faces opposition from some environmental groups who compare it to a theme park. If the project remains on pace, construction could begin as early as 2018.